Charleston, WV- The Greater Kanawha Valley Foundation (TGKVF) Board of Trustees approved the distribution of 15 grants totaling $528,074. Since she was very young, Danette’s granddaughter McKayla had always been fascinated with books; she wanted to handle them and have them read to her. When she entered first grade, McKayla was disappointed and frustrated that she could not seem to pick up reading and writing simple words like her classmates. Her frustration increased when, in second grade, she was unable to keep up with her classmates and was failing all of her subjects. After testing, McKayla’s grandparents found that she had a learning disability and enrolled her in the Appalachian Reading Center. Within six months, her performance in all subjects began to improve. Although she had to repeat second grade, the programming offered by the Appalachian Reading Center has helped her develop both skill and confidence in her reading ability. One in five people have some form of dyslexia, but despite its pervasiveness, the reading deficiency often goes undiagnosed. The Appalachian Reading Center, which was recognized as one of TGKVF’s Change-Makers to Watch at the Foundation’s inaugural conference, provides scholarships on a sliding scale to children from financially disadvantaged families. TGKVF awarded one field-of-interest and four responsive grants totaling $147,320 to Basic Needs and Arts & Culture programs and ten grants totaling $380,754 in the Foundation’s proactive priority areas of Education, Health, and Community Economic Development. Step Up for Women is WV Women Work’s tuition-free eleven-week skilled trades program. The course prepares adult students for nontraditional careers in the construction industry while helping participants overcome barriers to employment. Now in the project’s third year, The Appalachian Reading Center, Inc. and Clay County Schools will continue to identify dyslexic or reading deficient youth within the foster care system, train teachers in Clay County to tutor those students, and provide scholarships for low-income dyslexic youth at The Appalachian Reading Center. This project aims to connect teachers in Clay, Boone, and Lincoln counties with resources supporting their students’ college and career readiness. The National Consortium for Entrepreneurship Education (Entre-Ed), BridgeValley Community and Technical College, and Southern Community and Technical College will work with county school systems to connect STEM content areas with entrepreneurial activities while also introducing students to college and career possibilities. The Bob Burdette Center (BBC), Charleston Family Resource Center (CFRC), and Step By Step will collaborate with The Education Alliance and Kanawha County Schools to facilitate the AmeriCorps on the Frontline program in Kanawha County.  The program, which has received funding for three years from TGKVF, is a dropout prevention, mentor-based intervention that addresses student attendance, behavior, and course performance. This project addresses the need to provide increased opportunities for children to connect with nature through gardening and natural elements in child care programs. Outdoor natural learning environments are the perfect means to engage them in gardening opportunities, nutrition education, and connect them with nature and at an early age. This third-year grant recipient will continue to partner directly with child care programs to provide capacity building support around healthy habits. Refresh Appalachia is a regional economic and workforce development initiative that works to establish a sustainable training and development program to increase the success of beginning farmers in southern West Virginia. In its third year of support from TGKVF, this project builds Lincoln County’s capacity to strengthen local food systems, increase access to healthy food, and aggregate and distribute produce to meet regional markets. This project will support parents as they learn about the Adverse Childhood Experiences (ACE). The ACE study, a critical public health discovery, will help parents and guardians consider the implications of their histories to raise their children in health, safety, and prosperity. Home visitors in Fayette, Boone, and Lincoln counties will pilot this approach by using the ACE study to help build family resilience. This project is a partnership between the Partnership of African American Churches, Highland Hospital, and the Kanawha Charleston Housing Authority (CKHA) to bring community-based behavior health support services to Charleston’s West Side and three KCHA communities. Providers will include an LPC, a Psychiatrist, and Recovery Coaches. Try This! WV is an effort to get our state off the worst health lists through community action. 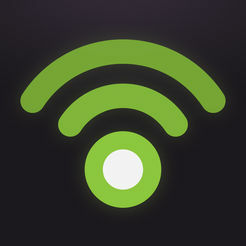 This diverse coalition includes local and state partners, a 600+ person conference, an award-winning how-to website (www.trythiswv.com), and over 250 teams in various communities. As a third-year grant recipient, Try This! 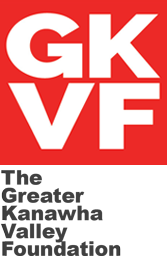 partners with TGKVF to provide mini-grants and training throughout the Foundation’s six-county footprint. This project continues FIAGKV’s efforts to increase capacity to serve seniors’ needs through volunteer recruitment and training opportunities. Funding for this project will support the creation of new programs to address critical health and quality of life concerns including access to health and nutrition care and education, safe home environments, and socialization. Funding will support womanSong’s twentieth-anniversary celebration with collaborations among many WV musicians, offering their standard programming featuring a diverse array of music with four concerts. Composer/singer Moira Smiley, sponsored by womanSong, will perform during their spring concert. WV Professional Dance Company will bring the “It’s Your World, Full STEAM Ahead!” educational tour and workshop to schools in Boone and Fayette counties, serving approximately 1,700 students and 120 teachers. This tour provides both artistic performances and quality arts education to students who may have limited access to the arts. American Red Cross responds to a disaster in our region three times each week. From small house fires to natural disasters, the Red Cross provides people with clean water, safe shelter, and hot meals when they need them most. This funding will cover the Disaster Service Program within TGKVF’s service area.